Snake Medallion. 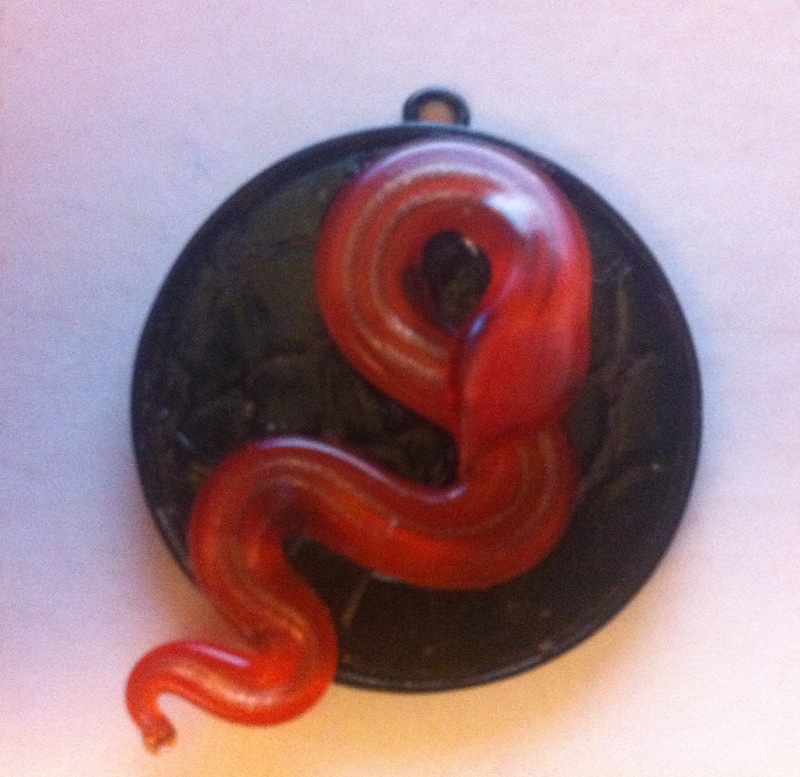 Red glass snake on metal medallion that has a snakeskin pattern. Comes with metal clasp, choose silver or gold, on black leather cord. Now taking commissions for my original Jewelry line inspired from meeting Nikki Sixx of Motley Crue. 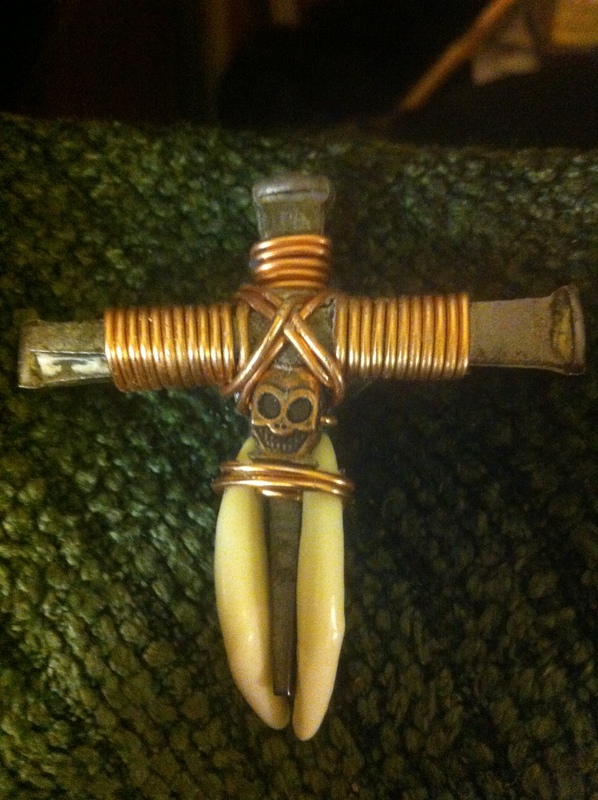 Carpenter nails also known as “Christ Nails” wrapped in copper, copper skulls, real Brush wolf teeth and bones,wood and metal beads. Each piece will be handmade by me and each one may have slight differences. Commissions only and payment through PayPal. 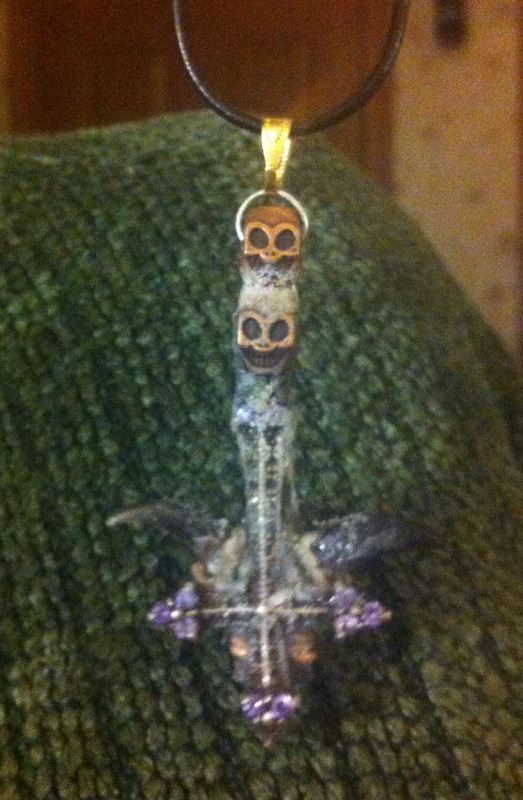 This upside down cross is a Vampires charm. 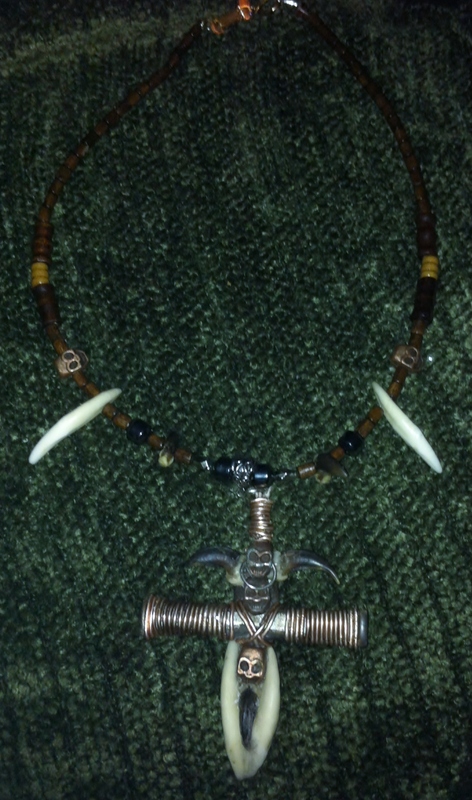 Made with copper wrapping and real wolf claws, it is sure to scare away and hunters about in the night. 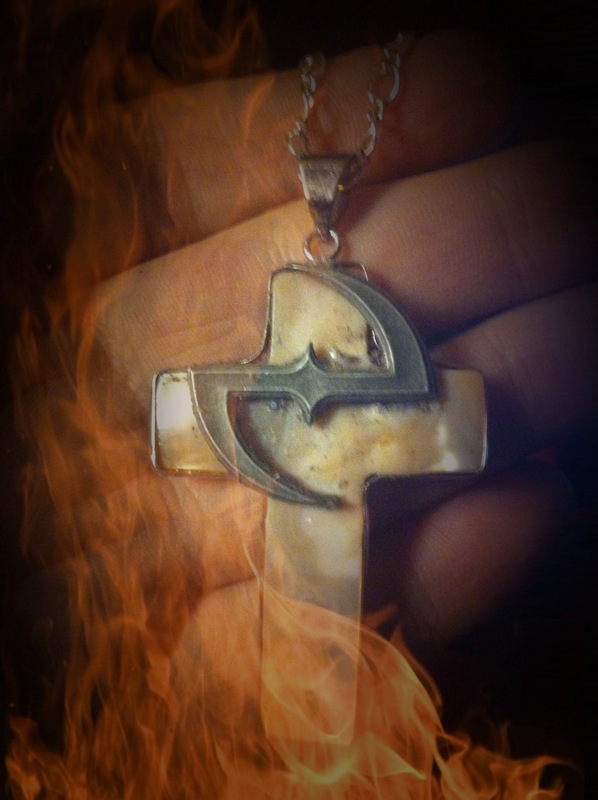 $45.00 + $5.00 shipping USA, overseas shipping is at your cost. The Vampire Hunter wears the teeth of his first kill to show his devotion. 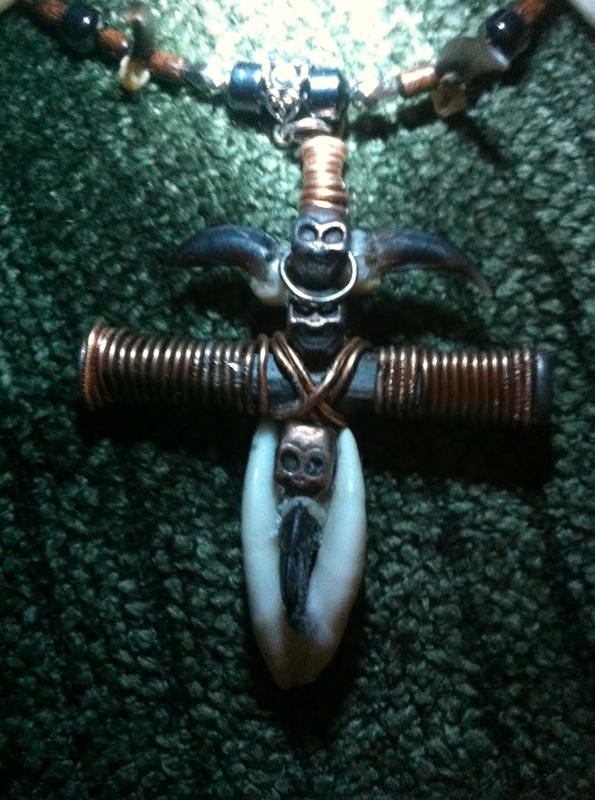 Made with copper wrapping and real wolf teeth, wrapped in copper wire with copper skull accents.